Mad King Mac has always caused trouble for his subjects, but stealing Red's winter stash of acorns, his prized golden nut AND kidnapping his father? That's going too far! Help lead Red on a journey across the land in search of his missing nuts, overcoming obstacles and unlocking abilities in this charmingly epic isometric puzzle adventure! Set out into the kingdom and you'll be on a roll… literally! Each area is a unique challenge to overcome – from throwing levers and battling Mac's goons to hitting ramps, sticking on tar and much more, the puzzles keep on coming. Unlock special abilities and return to previously explored areas to access new routes, or hunt for secrets that can help in your quest to teach Mad King Mac a lesson he'll never forget! 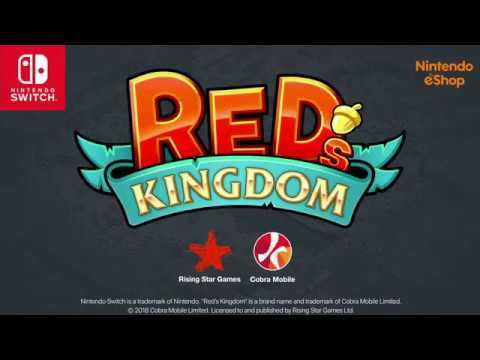 Red's Kingdom was released on Switch 249d ago in the US and the UK. Notify me when Red's Kingdom is available.